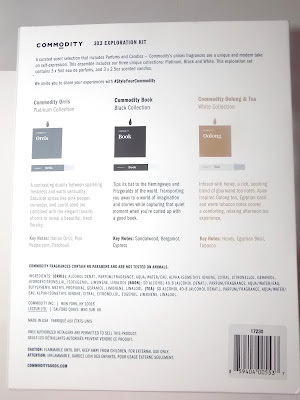 Commodity fragrances 's holiday set is perfect to acquaint yourself with the brand or grab portable minis if you're already a fan. 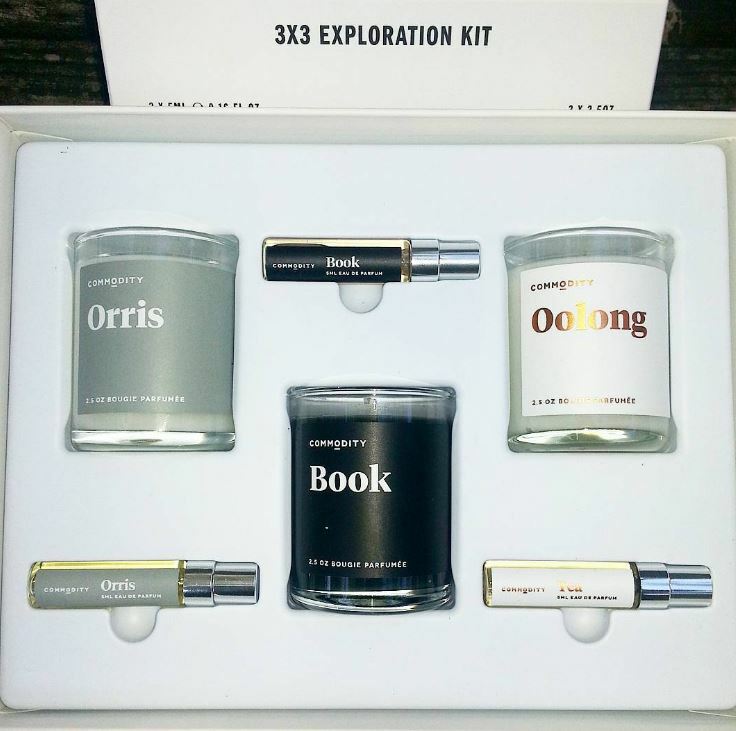 The box set contains 3 each EDP fragrances in 5ml and 2.5 oz votive candles in Orris, Book and Tea. 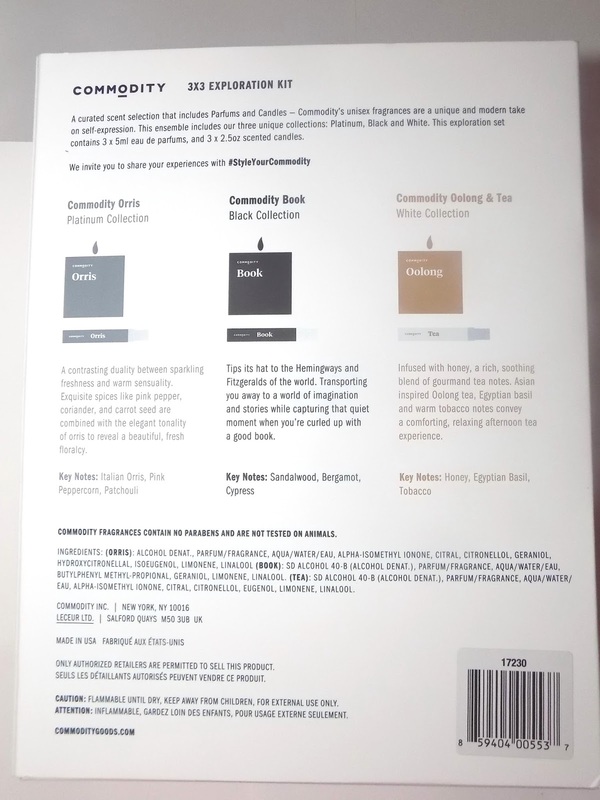 Yes, Commodity has candles now. 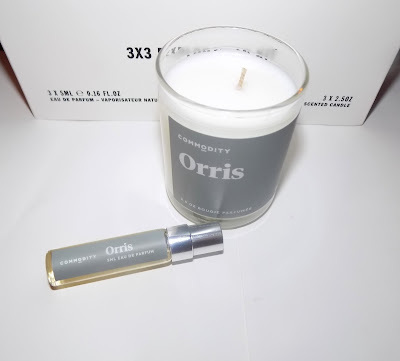 Orris is an earthy iris spiked with spices for a warmer feel than you usually see in Iris scents. As it dries down it's woodsy( you can smell the pathchouli and cedarwood) then a little vanilla mixes with the orris. Tea is sweet and a little smoky. Honey ,oolong tea, rose , tobacco and sandalwood feature prominiently. It's quite pretty and my favorite of the trio . Very much a scent that adds warmth to a cool day. Book is dry , and does smell like old paper and antique books which partially comes from the eucalyptus note. Cedarwood adds to that along with cypress and amber. It's very woodsy in a not so woodsy way. 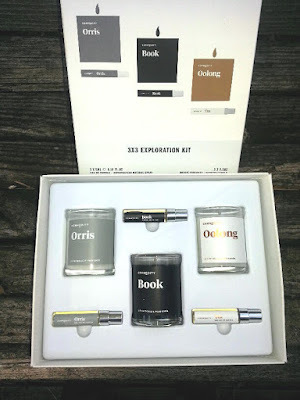 The set is beautifully presented in a minimalist looking gift box covered with an outer sleeve . The candles are hand poured and soy based and the fragrances are unisex. At $ 38 this a bargain for all you get. It's only at Sephora and LE. 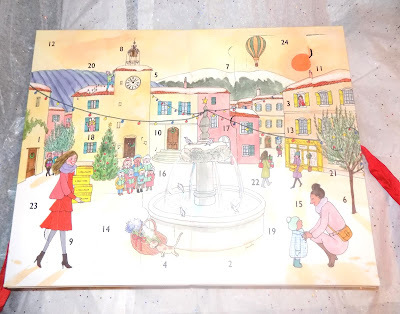 Every year I look forward to the Advent Calendar from L'Occitane. It's truly one of my favorite holiday launches. This year is as good as always, loaded with mini's of their best products including their best ever Shea Hand Cream, a soap and mini perfume of Arlesienne , the soft , sweet rose fragrance. Shower gels in Cherry Blossom , Relaxing and Verviene, Shea Lip Balm and more all packaged in a fold out box tied with a red ribbon . Basically everything your skin needs to get through a chilly Winter all sized to easily stash in pockets, purses and drawers. I always have a couple of the hand lotions at my desk . If you have any December birthdays , this is especially great. A new gift every day. L'Occitane Advent Calendar is $ 69 and available now. Do good and get something you'll love in return ? That's what happens when you pick up one of IT Cosmetics new Love Beauty Fully - Love Is The Foundation Brush. The sparkly pink Heavenly Luxe brush with a slightly heart shaped head is billed as a foundation brush , but I have been using mine for powder and blush too. It's big enough, soft enough and shaped in a way that works. You know how good the brand's brushes are and if you haven't tried them yet, this is a great intro. 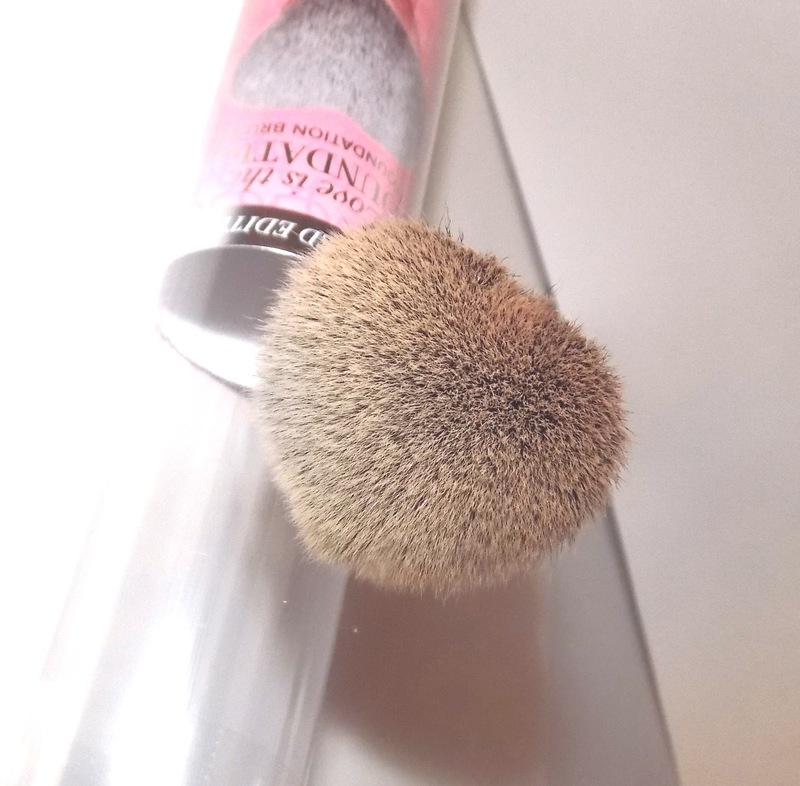 When you buy one of these brushes, IT Cosmetics donates one to the Look Good Feel Better program ( the company has donated over $27 million in products so far). 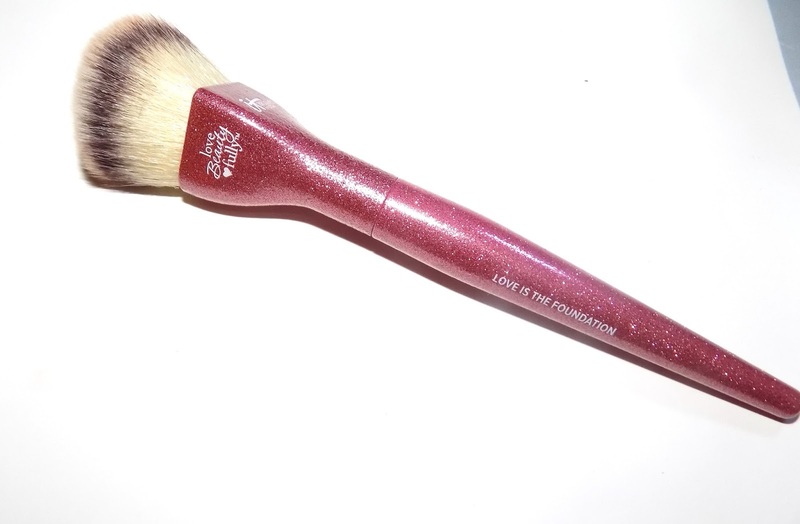 IT Cosmetics Love Beauty Fully - Love Is The Foundation Brush is $ 30 at Ulta. When this landed in my inbox I thought "why didn't anyone think of this before?" This cute and most likely very warm down filled scarf is from Land's End and perfect for Winter and holiday gifting. It looks pretty cozy plus it has a zip pocket to keep keys, phone , commuter transit card etc. The scarf comes in three colors pink ( salmon mist) , black and silver. It's filled is 600 fill power down and it measures 86" x 8 1/2"
Santa, I'd like one of these , please. Palmer's is well known for their Cocoa Butter line. 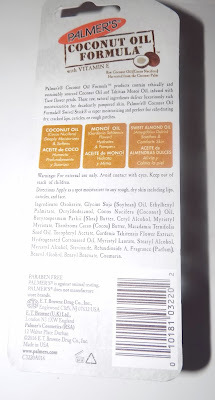 Newer are the Coconut Oil formulas. 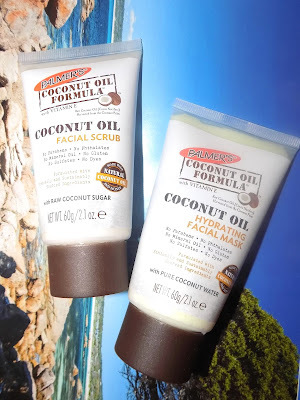 These smell really good and use sustainably and ethically sourced coconut and monoi oils for both scent and moisture. 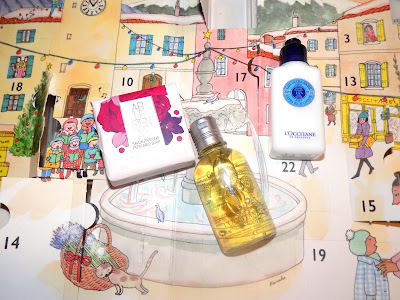 So even in the middle of Winter you can get a whiff of the tropics and pamper dry skin. The star product , to me , is the Swivel Stick. This isn't as new as some of the other products but it's one you'll need. 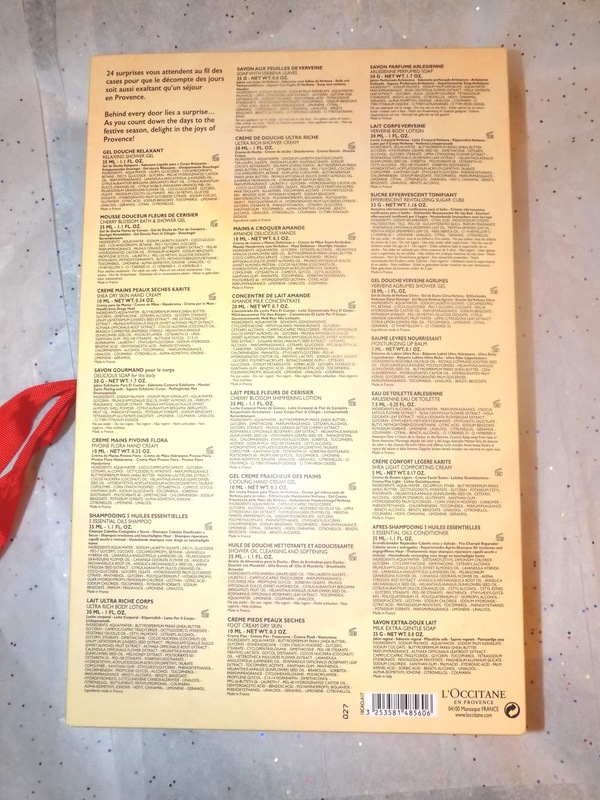 It provides lots of moisture and is multi use . When the cold starts to chap our skin, this works on lips, nose, elbows and more. It glides on smooth and non shiny and it's only $ 3.50. For face you have the Hydrating Facial Mask . This thick cream instantly makes skin feel softer and comforted. You leave on for 10 minutes , then either rinse off or rub in. It sinks in pretty fast and doesn't leave a greasy feel behind. I've been using this one the backs of my hands and it's great. The Facial Scrub exfoliates and cleans gently. 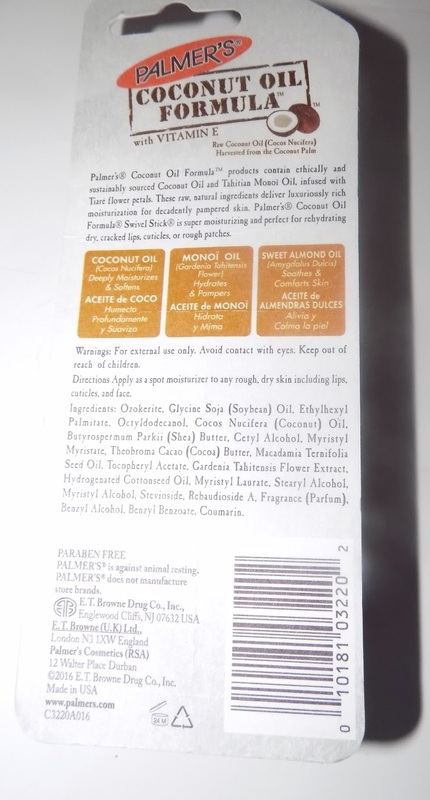 Like the Swivel Stick , both of these have sweet almond and sunflower seed oils with the coconut and monoi oils. Both are $ 7.95 each wherever Palmer's is sold. IT Cosmetics Holiday is rolling out. As always there are so many great sets to pick from. The new palette is called IT GIRL and it's a beauty. Inside there are 10 matte and radiant eyeshadows plus a new shade of Bye Bye Pores ombré blush. The shadows include both Superhero eye foundation shades and Naturally Pretty shades. The inside has a large mirror and the outside is suitably sparkly. The nail polish lover on your gift list will love OPI's Holiday XOXO Mini Gift Set. 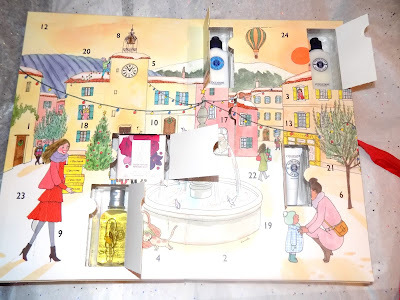 The set contains 25 3.75 ml bottle including favorite shades Alpine Snow, Gift of Hold Never Gets Old and My Wish List is You. 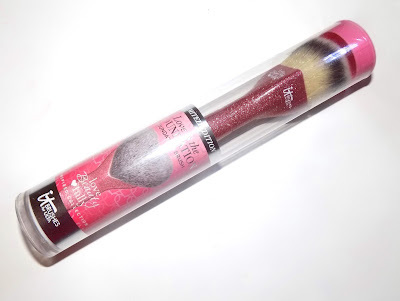 Great gifting gets pretty easy with Infallible Lip Gift Sets from L'Oreal. I don't seem to recall sets like these in past years, and it's a great idea. How many people on your list would love one of these ? 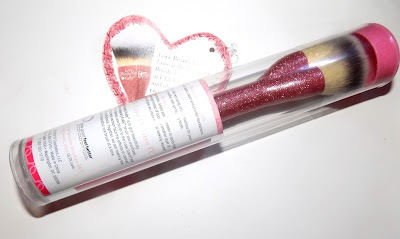 There is one available in each of three of their fab Infallible formulas- Matte, Paints and my favorite Metallic ( you can see my review, swatches here). Available November at lorealparisusa.com and drugstores and all mass market outlets. After spending a lot of time by the pool on Summer weekends , come Fall I start to mimimize any damage I might have done , plus add a little more moisture in as the temps cool off. I have made their Retinol Youth Renewal Night Cream & NEW coordinating Eye Serum my nightly skincare routine for the past couple weeks. The Night Cream is moisturizing but not that heavy, despite having shea butter as the 2nd ingredient, so it's great for my combo/normal skin. It's very creamy, melts into skin in fast and after a few uses, my skin was looking a bit brighter and smoother. 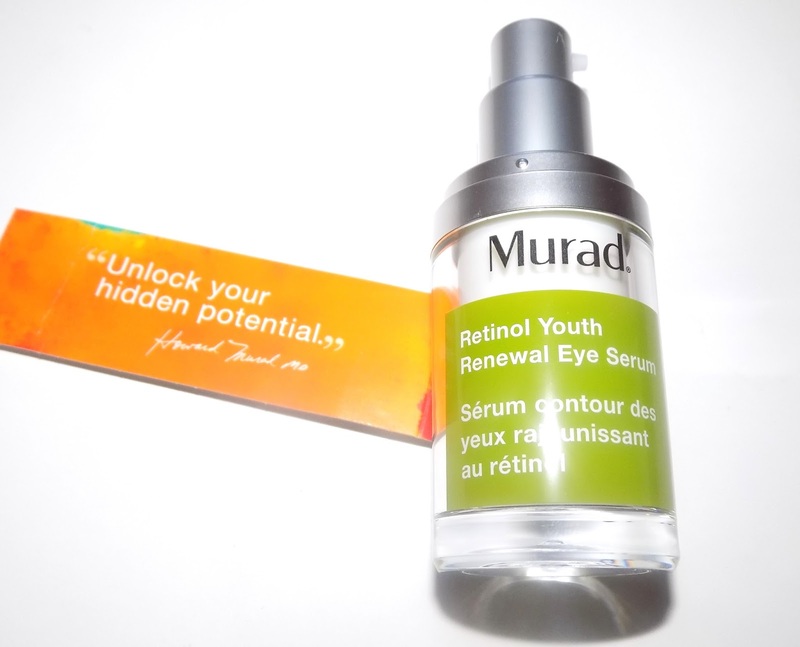 The Eye Serum is also creamy, more a gel/cream and it too , melts in quickly leaving the eye area feeling very hydrated while fighting those crows feet and circles. 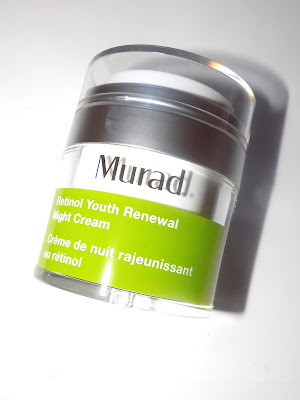 It's kept my eyes feeling moisturized well into morning and there are AMs I don't need to use additional eye cream. I haven't noticed too much line reduction yet, that does take time, unfortunately but the area is looking brighter and firmer. 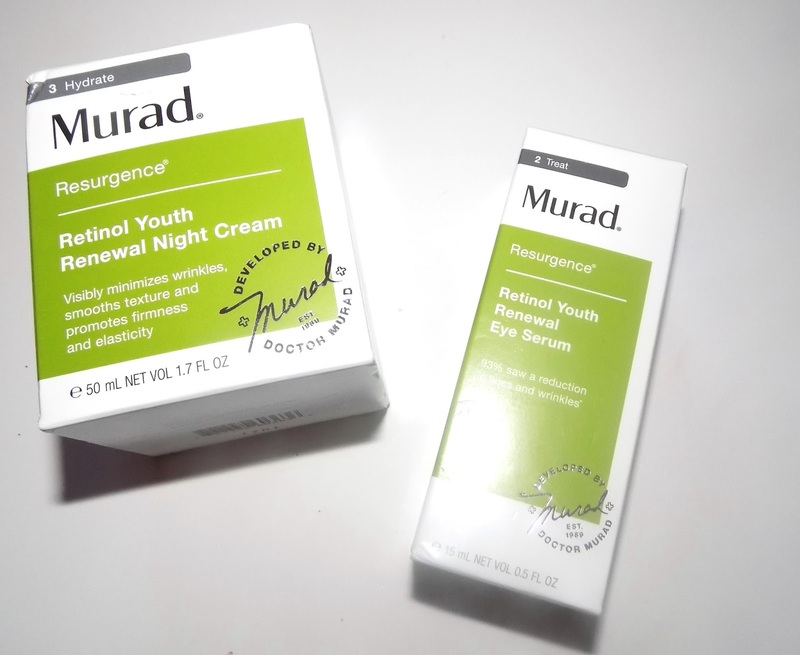 Both the Night Cream and Eye Serum have Retinol Tri Active Technology which is both time released and fast acting to fight lines and wrinkles along with red algae extract for firming in the cream( peptides) and marine kep extract for eyes. Retinol is still the gold standard for line fighting and I am loving this duo. 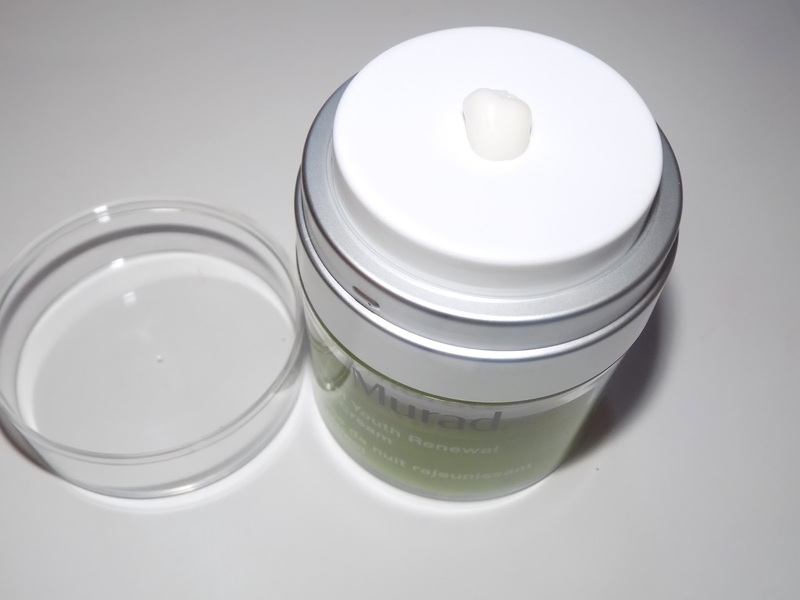 Both come in containers that keep light out, preserving the product's purity. Find it at Murad.com and Sephora. 100% of net profits benefiting Bright Pink and breast cancer education programs. 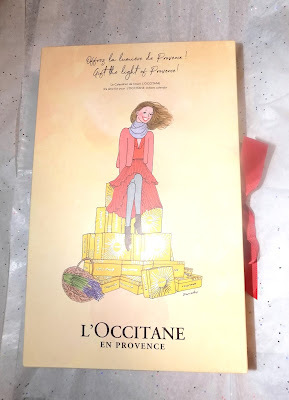 I used mine all Spring and Summer, appreciating the SPF 25 and they'll be perfect for chilly temps too. Now the set is back . In the box you get one each of Simply Rose and Untinted. 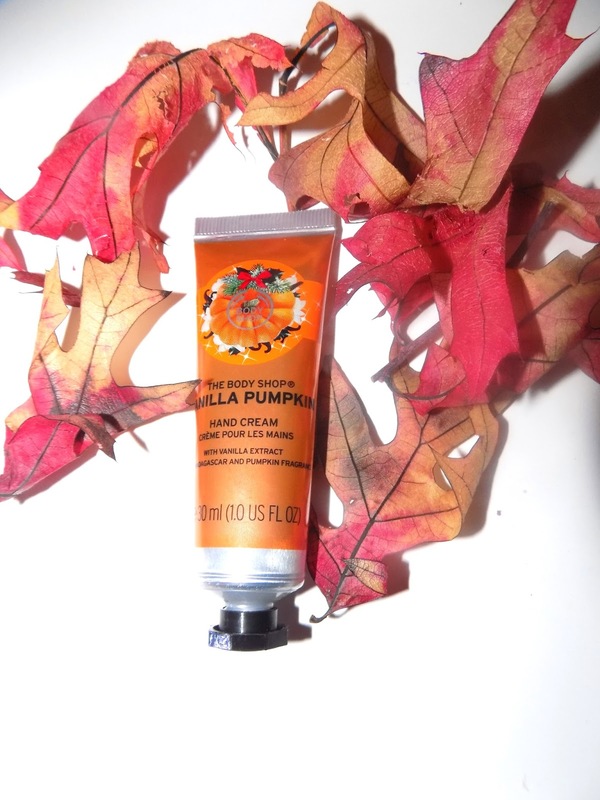 The balms have moisturizers like coconut (fair trade) , sunflower seed and sweet almond oils, shea and cocoa butters. 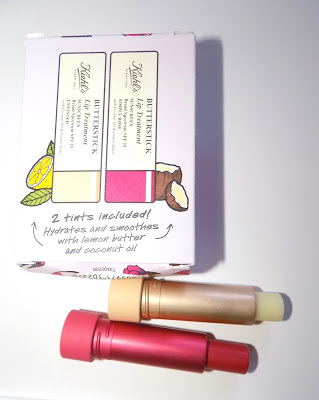 They feel great on lips with plenty of moisture and have just a slight sheen . Simply Rose has a good bit of tint, it's more than barely there and easily works as a stand along lip color. Nice for when you need to be out the door fast or it's 20 degrees out and lipstick just won't cut it. Think gift giving here too. Not only can you gift the set, but you can also break them up and give or share one and keep one for yourself, or divvy them between friends and family. Each stick is individually boxed with the larger box. Each stick is good sized coming in at .014 oz or 4.0 grams. 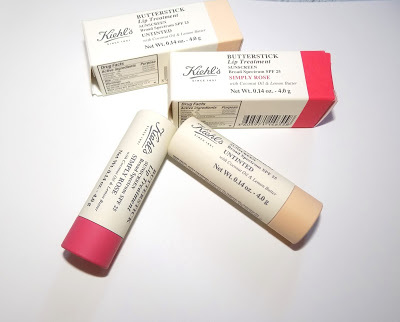 Kiehl's Butterstick Lip Treament Duo is $ 32 at Kiehls.com , and wherever Kiehl's is sold. 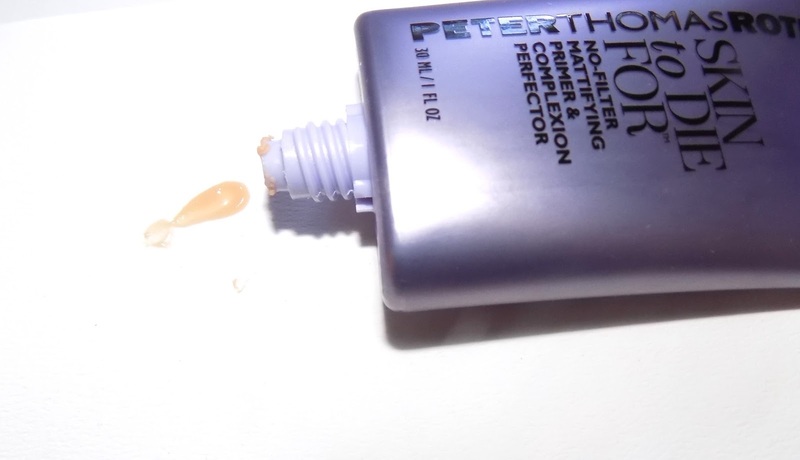 I'm all in when it cone to mattifying pore reducing primers. My pores are huge and my nose and chin very oily. Much of my morning routine is spent trying to minimize them. Peter Thomas Roth's new Skin To Die For Mattifying Primer really gets the job done and is one of the best I've used. It has a slight, sheer tint and smoothes right into skin and over pores with a blurring effect making it a bit of a multitasker. There's a definite difference in before and after use. The primer also kept oil well in check through the morning. A light touch of powder was needed at lunchtime, which is generally a must for me no matter what I use. But a very light bit of was all I needed, less than usual. The formula uses the brand's Evermat to help keep oil at bay and reduce pores along with Disa-Pore 20. It's very light on skin, not dry and can be used alone if you prefer no makeup or under your foundation/powder. This would work for all but dry skins I think. 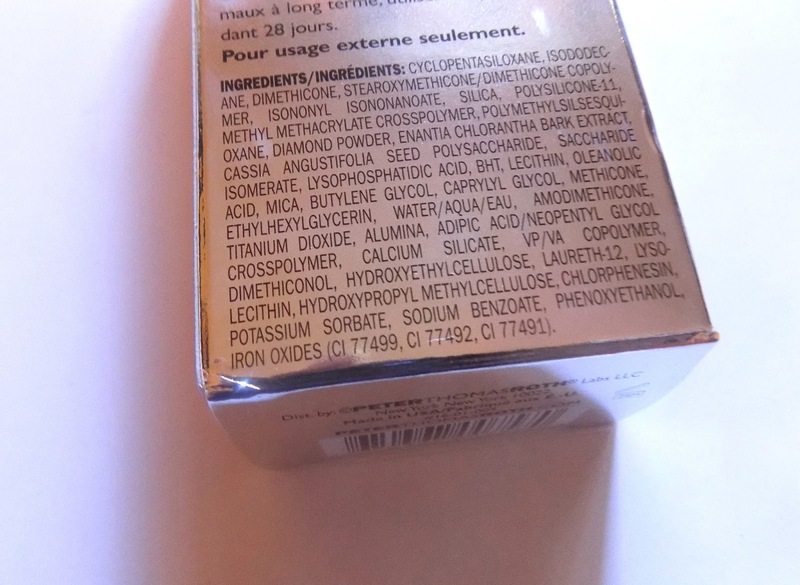 Oily obviously, but normal to slightly dry also, as it's blurring and filling applies to more than pores. 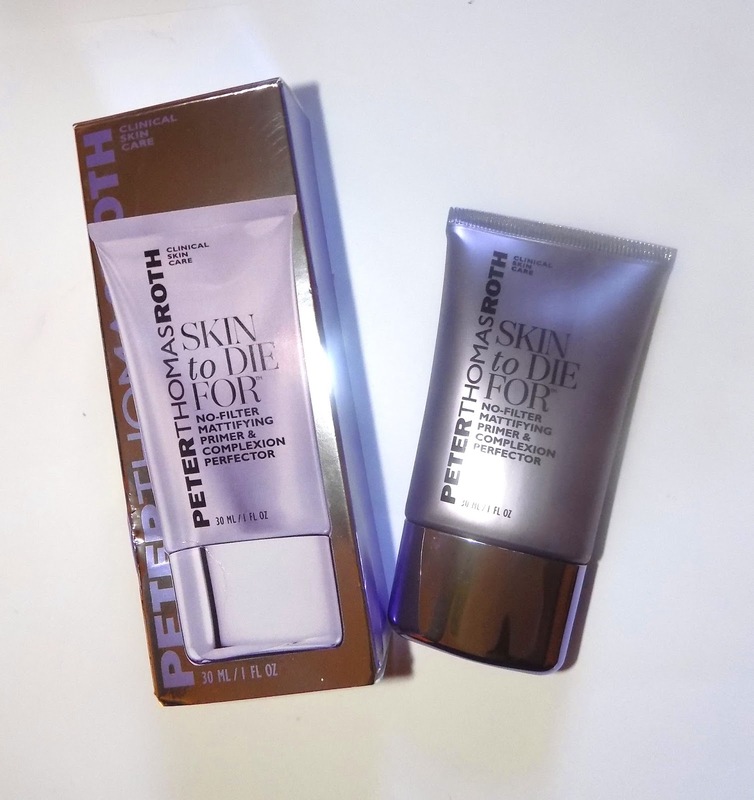 Peter Thomas Roth Skin To Die For No Filter Mattifying Primer is $ 28 at Ulta, Sephora , Macys and more. 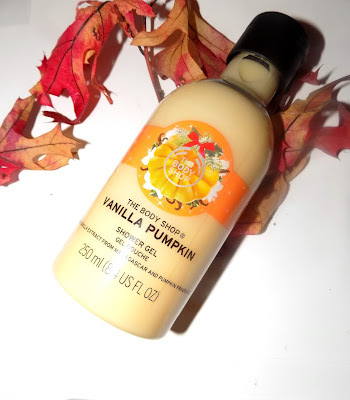 If you love Pumpkin Spice to eat and drink, how about some Vanilla Pumpkin for your hands, feet , elbows and more? 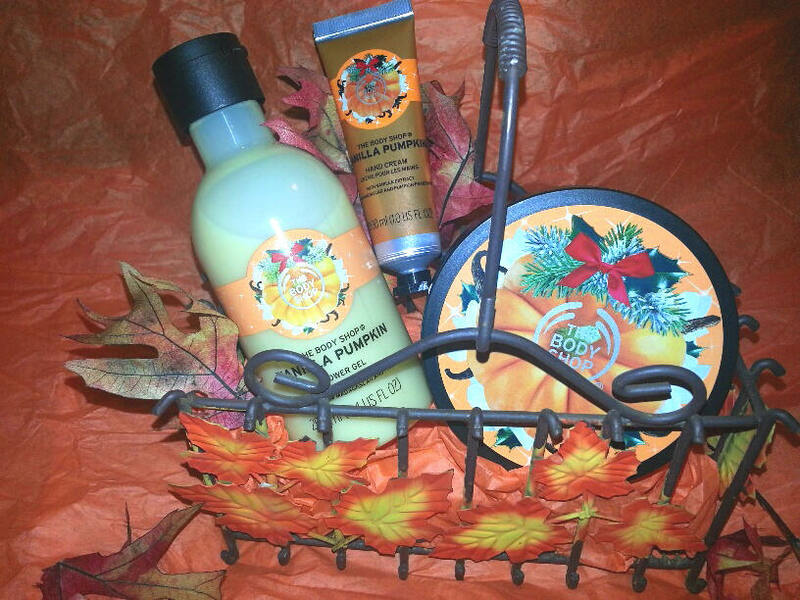 Vanilla Pumpkin is the delicious Fall addition at The Body Shop . It comes in their iconic , and it truly deserves that word, Body Butter along with Shower Gel and Hand Lotion . The scent is delish as most fragrances from them are, a gourmand mix of maple, light spices and rich vanilla from Madagascar vanilla extract and comes in bright orange, seasonally decorated packaging. It's not too usual to see food scents in a hand cream, so I love that there is one here. Now all I have to do is try to sniff my hands all day. It wouldn't look too good. Shiseido continues their annual BCA month tradition partnering with Cosmetic Executive Women (CEW) to support their charitable arm Cancer and Careers where the brand will donate $ 5 for every Rouge Rouge Lipstick sold in three shades sold in the month of October , both online and in stores. 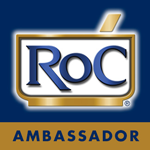 I am a big fan of the Rouge Rouge lipstick formula, it's creamy with a satin finish that always looks good. There are 3 shades available for the donation campaign this year and two are new. You have your pick of Peruvian Pink ( new) , Primrose Sun ( new) and Murrey. You can check out my full review/ look at the lipsticks here . I have several shades. 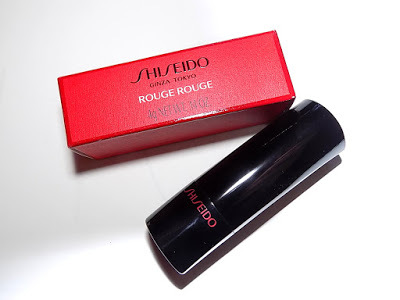 Shiseido Rouge Rouge can be purchased at select stores and online at www.shiseido.com for $28 each. 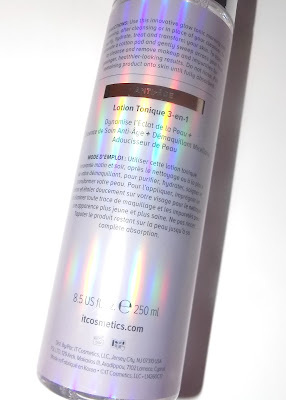 Leave it to IT to come out with a Micellar that's more than a Micellar. Nothing basic for this brand. 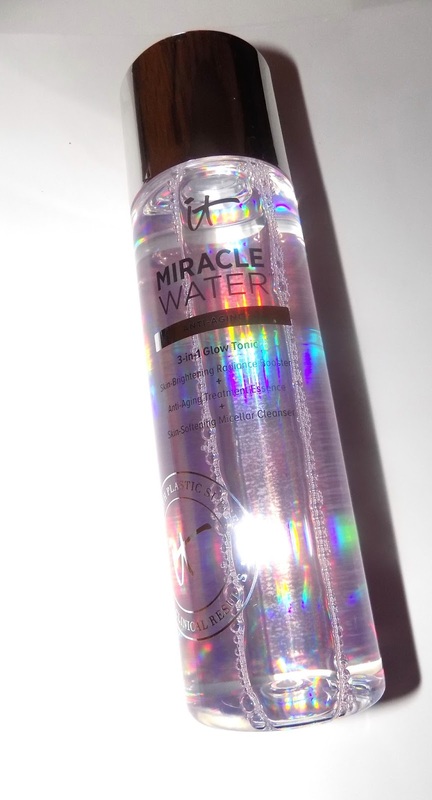 Their new Miracle Water is a cleansing micellar but also contains their Secret Sauce™ Fermented Complex, which is a combination of 7 penetration-enhancing fermented ingredients. These help skin absorb moisturizers and serums better . There are peptides, hydrolyzed collagen, rose, aloe, rice, chamomile, green tea water, licorice root and vitamin C along with their Drops of Light Technology™ Concentrate for brightening and glow. You can use it as a cleanser or after cleanser , leaving it on your face like an essence . That's what I've been doing. A swipe all over after cleansing. 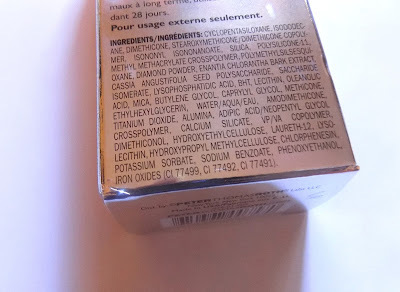 It not only gets any remaining makeup or grime but adds just enough moisture to my skin. Sometimes I add serum over it, sometimes not. It feels light and refreshing on skin and especially makes an easy wake up and get ready fast morning product. Who can't use a little time saving that's also good for skin? 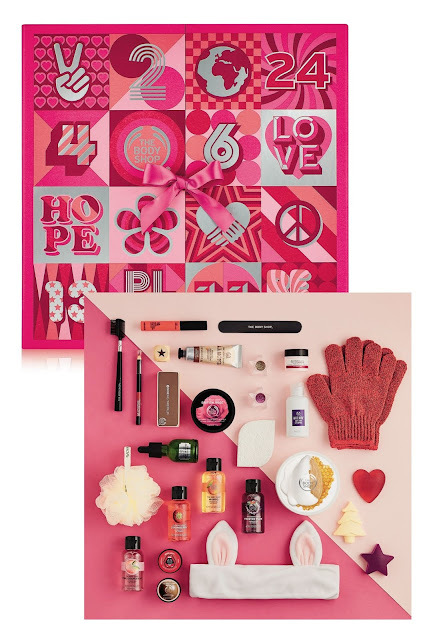 The Body Shop gets festive with their Advent Calendar all decked out in red and loaded with all our favorites and some new ones like a bunny ear headband for face cleansing. 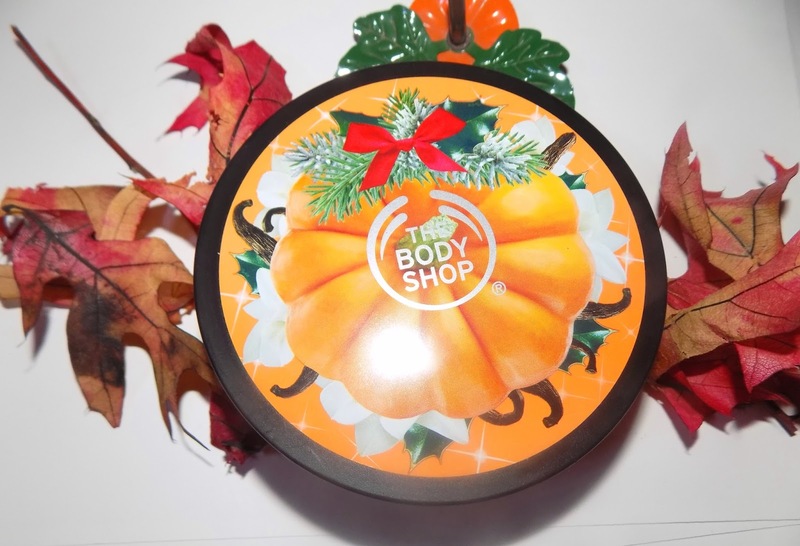 This one goes for the full 24 days and will be available on Oct. 30 for $ 80 at www.thebodyshopuscom.